The obverse was designed by Sir Bertram Mackenal. 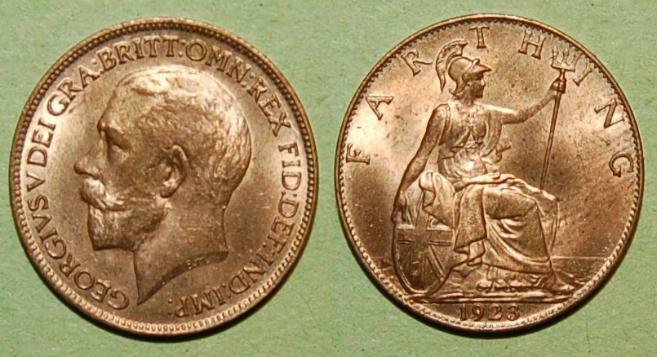 The reverse was a slightly changed version of Edward VII Farthing. They were produced in every year from 1911 to 1936.